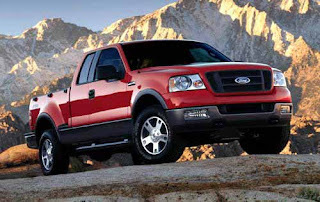 "And, after 17 years, Ford's F-Series trucks were dethroned from the top sales position, falling to No. 5 behind the Honda Civic, Toyota Corolla, Toyota Camry and Honda Accord. "I think it's a watershed moment," said Jim Farley, head of marketing at Ford." Thats a pretty big deal. It goes to show what a few dollars in gas prices does to the average consumer. I have always talked about "global warming" and consumers choices in vehicles. It is economics that get people to change their choices, not concern for the environment. "GM in May saw a 37% decline in light truck and SUV sales and its share of the overall U.S. market dropped below 20%, a new low for the automotive giant that in 1980 had 45% of the U.S. market." "The fuel-efficient Honda Civic compact had a record month with 53,299 sold, a 38.5% increase from May 2007. It and other small cars including the Fit helped Honda, which sells very few light trucks and and is heavy with fuel-efficient cars, post a 15.6% increase in vehicles sold for the month. Hyundai, Mazda, Kia and Subaru posted sales increases for the month. So did Nissan, which saw an 8.4% increase in sales, driven by a 43% burst from its Altima sedan, which like the Civic comes as a hybrid as well as a traditional drivetrain. But Nissan's results were pulled down by a lineup that includes large SUVs such as the Armada, whose sales fell 52%, and the Titan full-size pickup, which was down 56%." Big pickup and SUV sales drops. I wonder if people will go for LPG or CNG conversions for big trucks how they do in many parts of the world. Diesels aren't that great of a choice for most people, with diesel over $5 a gallon locally. The automakers are going to have a hard time reacting to this huge change in consumer demand. It has already been a boon for some automakers, others are in for some huge losses, and may even go away. Hummer anyone ?